***Note: Game requires iPad (3rd Gen), iPad (4th Gen), iPad Air, iPad Air 2, iPad Mini 3, iPad Mini 2 or iPad Mini, iPhone 6, iPhone 6 Plus, iPhone 5s, iPhone 5/5C, iPod Touch 6, iOS 8.4 or higher recommended, 3GB minimum storage, and Wi-Fi Connection. iPad 2 or earlier not supported. Online features not supported on iPad (3rd Gen), iPad (4th Gen), iPad mini, and iPhone 5/5C. Get the full Skylanders® SuperChargers console video game experience on your iPad®, iPhone® and iPod touch®. Now you can Bring the Skylanders to Life® as well as Fly, Drive and Dive through Skylands. Experience the ultimate adventure for FREE with TWO Digital Skylanders SuperChargers: Instant Spitfire and Instant Hot Streak. Then continue your adventure by buying the STARTER PACK or purchase the full story adventure digitally through In-App Purchase. 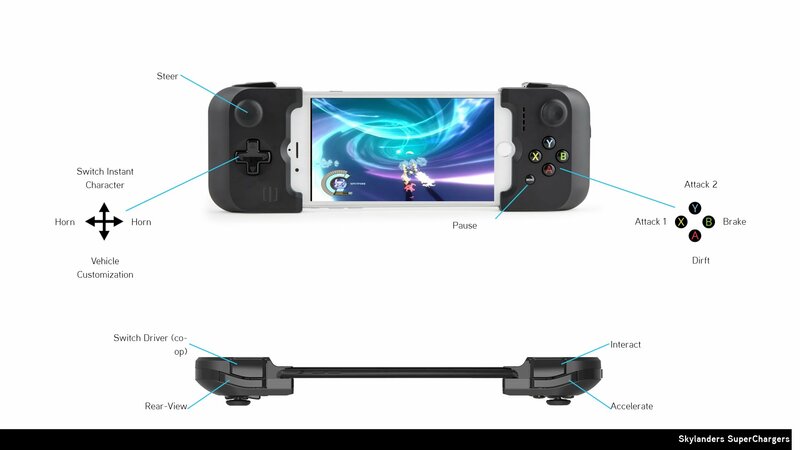 • Use Touch Screen Controls or the Skylanders® SuperChargers Wireless Bluetooth® Game Controller or connect your iOS-supported Game Controller for epic console play right on your iPad®, iPhone® or iPod touch®! Skylanders® SuperChargers is free-to-play, but some in-game content can be purchased using real money. If you don’t want to use this feature, please disable in-app purchases. For online safety tips, visit Skylanders.com/parents.